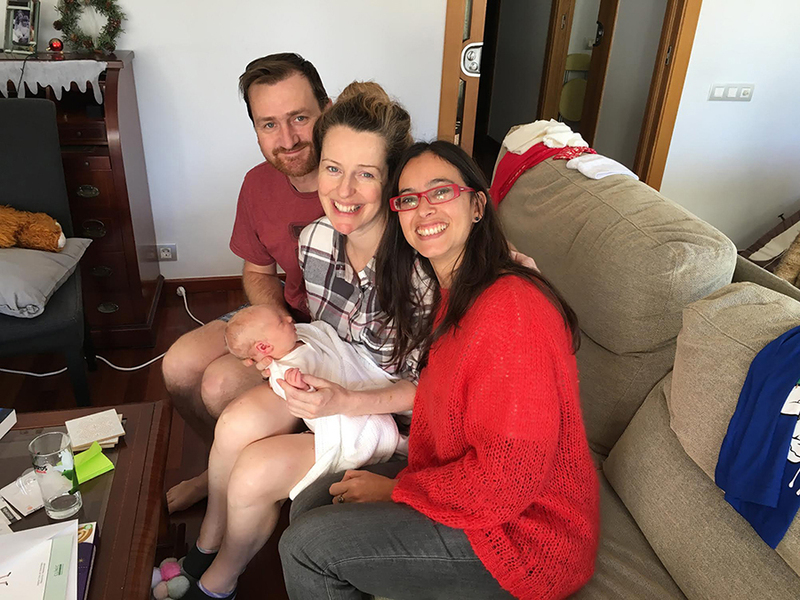 Postpartum doula in Barcelona: how I can help you! Most new parents will tell you that navigating through those first few days after bringing home a new baby is anything but easy! Even for the most experienced parents, bringing home a new baby means changing routines, dividing time and just trying to figure out how to juggle it all. If mom had a cesarean delivery or any other birth complications, it can make the transition to home even more challenging. The problem that many families run into is finding the help they need to support them through these first few weeks. A postpartum doula provides evidenced based information on things such as infant feeding, emotional and physical recovery from birth, mother–baby bonding, infant soothing, and basic newborn care.A postpartum doula is there to help a new family in those first days and weeks after bringing home a new baby. Research shows that moms, dads and babies have an easier time with this transition if a good support team is in place. Much more! You only need to contact me! But I Have Lots of Family in the Area—Do I Need a Doula? The answer to that question probably depends on your family and the level of support and care they offer you. Not everyone has a mother they can trust to come over, pitch in and help out—without the added commentary on how she’d do it differently if she were you. One of the things new parents most appreciate about doulas is the complete lack of pretense—the doula is there to help you and support you in doing what you are doing, not to change it up and impose her system. Because your doula doesn’t have an emotional investment in the way you desire to parent your newborn, she’s a help to the process, rather than a hurdle.But doulas aren’t just for women with especially vocal mothers and mothers-in-law. Maybe you’d rather let mom do the fun grandma things like helping to entertain your visitors and taking care of siblings, and then let your doula handle the night shift. Doulas don’t usurp the role of family members in supporting a mother at this special time—rather they are advocates, making sure mom’s needs get handled in the midst of the new baby hubbub. How to Choose a Birth Doula! What do I explain in my antenatal classes in Barcelona?